Belvedere was the last building Frederick the Great, King of Prussia, commissioned for Sanssouci. 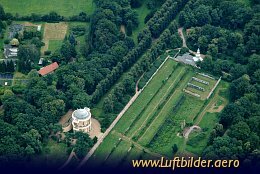 From here the visitors can enjoy the overview over the garden ensemble of Sanssouci. The Dragon House was built as accommodation for the royal vintner who was responsible for the wineyards of Sanssouci.